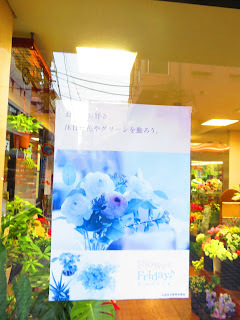 I saw this poster on the window of the flower shop where I often go to buy flowers on Fridays for the Shabbat. It made me look twice, and it made me smile that someone was thinking of flowers on Fridays. Seeing it there gave me a hopeful feeling, getting ready for something to come!! Maybe it wasn't the intent of the poster to be referring to Shabbat, I know, it most probably wasn't, but that's o.k. In these weeks of reading about Abraham we are reminded of God's promise that His seed will be multiplied in ALL the nations, and so we know that day will come!! 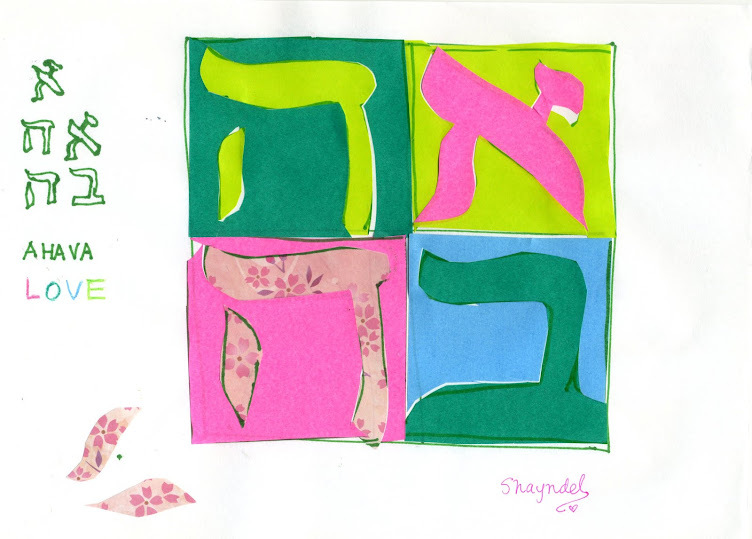 In this weeks parsha we read again how "In your seed all the nations of the earth will be blessed" (Genesis 18:18). May we sing a new song to ADONAI and believe for that time when His great SHALOM and the name of YESHUA will be known throughout the lands. 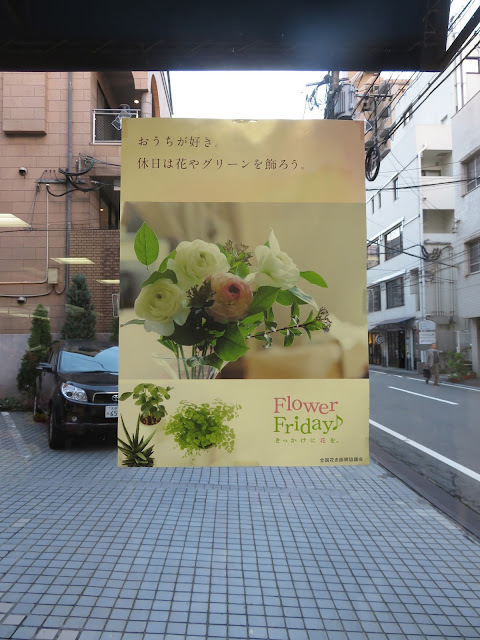 I envision this lively scene on our city streets of Japan, on Fridays as people in Japan start to celebrate the Shabbat: while the challah is rising, and we go out to buy flowers....we greet each other with シャバット　シャローム！! (Shabbat Shalom) as we scurry to the flower shops in preparing for the Shabbat and welcoming Messiah YESHUA in the nations!! to the House of the God of Jacob!